Public history and history didactics are two subfields of history that focus on reaching the world outside the academy. Both put an emphasis on “practicing” history while at the same time grounding practice on theoretical reflection and empirical research, with the ultimate goal of developing the most effective strategies of reaching diverse audiences to enhance historical knowledge and understanding. Both usually relate their areas of interest, their epistemologies and methodologies to “mainstream” historical research. What then are the differences? At least at a first glance, the two subfields often overlap with each other and on various levels. Starting from the human factor: there are more than a handful researchers engaged in both (for example many of the authors of the “Public History Weekly” come from the field of history didactics and conduct research on history education). Both history didactics and public history publications approach similar issues, such as historical understanding, historical consciousness, and historical culture. Scholars and practitioners in both work with museums and exhibitions, with popular entertainment sites such as television, film, and video games, with digital history and social media. Where, then, do the differences lie? Public historians tend to create and produce history for general consumption as well as critically engage with historical representation. Those in history didactics are more likely to be concerned with how to use such forms to effectively teach history, and when they produce history, this is usually in the form of textbooks and teaching guides. If we were to take Ubisoft’s latest Assassin’s Creed game as an example, we might say that public historians would tend to begin by analyzing the quality of the mise-en-scene of Victorian London and ways in which the narratives being offered are compelling; history didactics scholars would tend to begin by identifying the concepts underlying those representations and their factual accuracy. Both might relate the games to historical knowledge produced in the academy, but public historians would be more inclined to think about choices being made, while scholars of history didactics would be more likely to think about the game in relation to pedagogy. These may be fine distinctions, but they are significant enough for us to advocate for a conversation between the two subfields. Last year at a conference of history educators in Warsaw there was a very interesting discussion about what was called “museum lessons”, when a teacher visits a museum with a group of students. Some museum educators complained that the teachers wanted to teach in the museum themselves rather than trust museum educators to do so. They (the museum educators) felt rather offended and pointed out that they had a greater knowledge about the museum and its collections than teachers, and also knew better how to present it to visitors, pupils included. On the other hand, however, it was also noted that there are teachers who only bring their pupils to the museum and take them back to school without engaging in the process of education in the museum at all (perhaps even spending a lot of time in the museum café). The conference concluded by asking the question: Wouldn’t it be great if the pupils’ needs were taken into consideration at the conceptual stage, long before a visit happened, and that both a school teacher and an educator (or a team of educators) from the museum co-operated on preparing and teaching the lesson? Collaborative approaches can meet the pedagogical needs of the classroom by harnessing the educational talents and experience of museum staff. For example, in Poland, Polin, the Museum of the History of Polish Jews, developed the “Ambassadors of the Museum” program, where practicing teachers helped develop its educational offerings and popularized it nationwide. In Canada, encouraged by clearly set out provincial (Ontario and Québec) guidelines, the Canadian War Museum in Ottawa offers a variety of gallery tours and orientations visits to see the collections that are geared specifically to school levels particularly for intermediate and secondary school students. The museum’s signature schools outreach project, the Supply Line Discovery Box, is explicitly designed to meet curriculum goals and the museum also offers extensive online resources. Surveys in the United States, Australia, and Canada have shown that museums are considered by the public to be trustworthy places in which to learn about the past. They offer, as Laurajane Smith has recently observed, the opportunity for a “transformative moment” for visitors “characterized by deep engagement, not simply with the museum but with the emotional responses that the museum, and the act of visiting itself, can engender.” This is no less true of school visits, even with their specific goals and, of course, their compulsory nature. 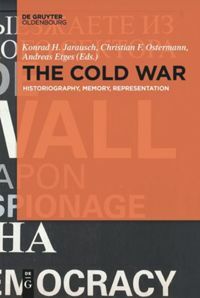 The relationship between public history – doing history in public – and historical education is worth discussing, both “delimiting borders” and finding common areas between public history and history education in terms of some general concepts (such as historical consciousness and historical understanding), research areas, research questions, but also practices, such as how history museums work for education and for public history, and what professional competences each of the sub-disciplines foster that might be of mutual benefit. We will be proposing a panel on the 24th International Congress of Historical Sciences in Poznań in 2020 to discuss those issues. Gosselin, Viviane and Phaedra Livingstone, eds., Museums and the Past. Constructing Historical Consciousness. Vancouver: UBC Press, 2016. Létourneau, Jocelyn. Je me souviens? Le passé du Québec dans la conscience de sa jeunesse. Montreal: Fides, 2014. Simon, Nina. The Participatory Museum. Santa Cruz: Museum of Art and History, 2010. Jocelyn Létourneau, “Teaching History: Historical Consciousness and Quebec’s Youth” (last accessed 3 March 2017). A panel on public history (in Polish): www.youtube.com/PanelPublicHistory (last accessed 3 March 2017). Programs for Schools at the Museum of the History of Polish Jews POLIN www.polin.pl/program-for-schools (last accessed 3 March 2017). Programs for Schools at the Canadian War Museum www.warmuseum.ca/school-programs (last accessed 3 March 2017). The Supply Line Discovery Box of the Canadian War Museum www.warmuseum.ca/supplyline (last accessed 3 March 2017). Roy Rosenzweig and David Thelen, The Presence of the Past: Popular Uses of History in American Life. (New York: Columbia University Press, 1998). Paul Ashton and Paula Hamilton, “Connecting with History: Australians and their Pasts,” in People and Their Pasts: Public History Today, eds. Paul Ashton and Hilda Kean (London: Palgrave Macmillan, 2008), 23-41. Margaret Conrad et. al., Canadians and Their Pasts (Toronto: University of Toronto Press, 2013). Laurajane Smith, “Changing Views? Emotional Intelligence, Registers of Engagement, and the Museum Visit”, in Museums and the Past. Constructing Historical Consciousness, eds. Viviane Gosselin and Phaedra Livingstone (Vancouver: UBC Press, 2016), 101-121. Here: p. 101. Public History und Geschichtsdidaktik sind zwei Teilbereiche der Geschichtswissenschaft, die sich darauf konzentrieren, die nicht-akademische Welt anzusprechen. Beide betonen die “Anwendung” von Geschichte bei gleichzeitiger intensiver theoretischer Reflexion und einer ausgeprägten empirischen Forschung. Dies dient dem zentralen Ziel, möglichst wirksame Strategien zum Erreichen unterschiedlicher Zielgruppen zu entwickeln, um deren Geschichtswissen und Geschichtsverständnis zu erhöhen. Beide Teilbereiche beziehen sich gewöhnlich mit ihren Interessengebiete, ihrer Epistemologie und ihrer Methodik auf den “Mainstream” der Geschichtsforschung. Wenigstens auf den ersten Blick überschneiden sich die zwei Teilbereiche oft und zwar auf verschiedenen Ebenen. Um mit dem menschlichen Faktor zu beginnen: Mehr als nur eine Handvoll von ForscherInnen engagieren sich in beiden Bereichen (zum Beispiel stammen viele der AutorInnen von “Public History Weekly” aus dem Gebiet der Geschichtsdidaktik und betreiben Forschung zur historischen Bildung). Publikationen aus der Geschichtsdidaktik und aus der Public History haben ähnliche Themen, wie etwa das Geschichtsverständnis, das Geschichtsbewusstsein und die Geschichtskultur. In beiden Bereichen arbeiten WissenschaftlerInnen und PraktikerInnen mit historischen Museen und Ausstellungen, aber auch mit den populären Unterhaltungsmedien wie Fernsehen, Film und Videospielen, und ebenso mit anderen Formen digitaler Geschichte und den sozialen Medien. Wo liegen dann die Unterschiede? HistorikerInnen aus dem Bereich der öffentlichen Geschichtsvermittlung tendieren dazu, Geschichte für den allgemeinen Gebrauch aufzuarbeiten und zugänglich zu machen und sich auf kritische Weise mit der historischen Darstellung auseinanderzusetzen. Diejenigen, die sich mit Geschichtsdidaktik befassen, kümmern sich wahrscheinlich eher darum, wie solche Formen genutzt werden können, um wirksam Geschichte zu unterrichten, und wenn sie Geschichte zugänglich machen, dann geschieht dies gewöhnlich in der Form von Lehrbüchern und Unterrichtsleitfäden. Wenn wir zum Beispiel Ubisofts neustes PC-Game aus der Reihe Assassin’s Creed nehmen, könnte man sagen, dass ‘öffentliche’ HistorikerInnen dazu neigen, mit der Analyse der Qualität des In-Szene-Setzens des viktorianischen Londons und der dazu angebotenen Narrative zu beginnen; GeschichtsdidaktikerInnen hingegen eher mit der Analyse der diesen Darstellungen zugrundeliegenden Basisnarrative und Geschichtsbilder und ihrer historischen Triftigkeit den Anfang machen. Beide würden die Spiele möglicherweise mit dem an der Universität erarbeiteten Geschichtswissen in Bezug bringen, aber die ‘öffentlichen’ HistorikerInnen tendieren eher dazu, sich Gedanken über die Frage zu machen, wie man die Auswahl trifft, währenddessen WissenschaftlerInnen der Geschichtsdidaktik sich wahrscheinlich gedanklich in den Zusammenhang zwischen dem Spiel und der Pädagogik vertiefen würden. Dies mögen feine Unterschiede sein, aber sie sind bedeutsam genug für uns, um einen Austausch zwischen den beiden Teilbereichen anzuregen. Museen als Orte eines ergiebigen (Neu)Anfangs? Letztes Jahr ergab sich an einer Konferenz für GeschichtslehrerInnen in Warschau eine sehr interessante Diskussion über sogenannte “Museumslektionen”, wenn eine Lehrperson ein Museum mit einer Gruppe von SchülerInnen besucht. Einige der MuseumspädagogInnen beklagten sich darüber, dass die Lehrpersonen in den Museen lieber selber unterrichten wollten, als den MuseumspädagogInnen den Unterricht anzuvertrauen. Letztere fühlten sich ziemlich beleidigt und führten aus, dass sie über mehr Wissen in Bezug auf das Museum und seine Sammlung verfügten als die Lehrpersonen. Sie wüssten folglich besser, wie dieses seinen Besuchern nähergebracht werden müsse, SchülerInnen eingeschlossen. Andererseits wurde auch festgestellt, dass es Lehrpersonen gäbe, welche die SchülerInnen im Museum ablieferten, diese später wieder abholten und zur Schule zurückbeförderten, ohne sich im Geringsten in den Lernprozess im Museum einzubringen (stattdessen vielleicht sogar viel Zeit im Museumscafé verbringen). Die Konferenz fand ihren Abschluss mit der Frage: Wäre es nicht großartig, wenn die Bedürfnisse der SchülerInnen in der konzeptuellen Phase in Betracht gezogen würden, und dass sowohl eine Lehrperson der betreffenden Schule wie eine MuseumspädagogIn des Museums (oder ein Pädagogen-Team) in der Vorbereitung und Ausführung des Unterrichts zusammenarbeiteten? Kooperative Ansätze können den Anforderungen im Klassenzimmer dadurch gerecht werden, dass Lehrerbegabung und Museumserfahrung zusammen ihre Wirkung entfalten können. In Polen entwickelte das Museum der Geschichte der Polnischen Juden “POLIN” das Programm “Botschafter des Museums”, in dem praktizierende Lehrpersonen dabei halfen, Lehrangebote zu entwickeln und diese landesweit bekannt zu machen. In Kanada bietet das kanadische Kriegsmuseum in Ottawa, bestärkt durch von der Provinz (Ontario und Québec) klar festgelegte Richtlinien, ein breites Spektrum von Galerie-Rundgängen und Orientierungsbesuchen für das Betrachten der Sammlungen an, die speziell auf unterschiedliche Schulniveaus zugeschnitten sind, im Speziellen auf Mittel- und Oberstufenschüler. Das Förderungsprojekt der mitbeteiligten Schulen des Museums, The Supply Line Discovery Box, ist ausdrücklich zur Umsetzung der Lehrplanziele konzipiert worden. Das Museum bietet entsprechend auch umfangreiche Online-Ressourcen an. Umfragen in den Vereinigten Staaten, Australien und Kanada haben ergeben, dass Museen von der Öffentlichkeit als glaubwürdige Orte angesehen werden, um sich mit der Vergangenheit vertraut zu machen. Wie Laurajane Smith kürzlich beobachten konnte, bieten Museen den BesucherInnen die Möglichkeit für “transformative Momente”, welche “gekennzeichnet sind durch eine tiefgehende Auseinandersetzung, nicht nur mit dem Museum, sondern auch mit den emotionalen Reaktionen, welche das Museum und der Akt des Besuchs an sich erzeugen können.” Dies ist nicht weniger der Fall für Besuche von Schulklassen, selbst wenn diese spezifische Ziele beinhalten und selbstverständlich von obligatorischer Natur sind. Die Beziehung zwischen Public History – nämlich Geschichte in der Öffentlichkeit zu betreiben – und Geschichtsunterricht ist es wert, diskutiert zu werden, indem sowohl Abgrenzungen wie auch Gemeinsamkeiten zwischen Public History und Geschichtsunterricht gesucht und gefunden werden. Dies umfasste sowohl allgemeine Konzepte (wie zum Beispiel Geschichtsbewusstsein und Geschichtsverständnis), Forschungsgebiete, Forschungsfragen, wie auch deren praktische Umsetzungen, wie etwa museumspädagogische Angebote für den Unterricht und für die Öffentlichkeit, oder auch die Förderung von Kompetenzen durch jede der Teildisziplinen zum gegenseitigen Nutzen. Am 24. Internationalen Kongress der historischen Wissenschaften, der 2020 in Poznań stattfindet, werden wir ein Forum vorschlagen, mit dem Ziel solche Themen zu diskutieren. Viviane Gosselin / Phaedra Livingstone (Hrsg. ): Museums and the Past. Constructing Historical Consciousness. Vancouver 2016. Jocelyn Létourneau: Je me souviens? Le passé du Québec dans la conscience de sa jeunesse. Montreal 2014. Nina Simon: The Participatory Museum. Santa Cruz 2010. Jocelyn Létourneau: “Teaching History: Historical Consciousness and Quebec’s Youth”, History Matters, March 2014, www.activehistory.ca/teaching-history-historical-consciousness (letzter Zugriff: 5.2.2017). Museum für die Geschichte der polnischen Juden POLIN, www.polin.pl (letzter Zugriff: 5.2.2017). Kanadisches Kriegsmuseum, www.warmuseum.ca (letzter Zugriff: 5.2.2017). Ein Ausschnitt aus einer polnischen Tagung zur Public History: www.youtube.com/PublicHistory (letzter Zugriff: 5. Februar 2017). Angebote für Schulen und Lehrpersonen des Museums für die Geschichte der polnisches Juden: www.polin.pl/AngebotefürSchulen (letzter Zugriff: 5. Februar 2017). Angebote für Schulen und Lehrpersonen des Kanadischen Kriegsmuseums www.warmuseum.ca/school-programs (letzter Zugriff: 5. Februar 2017). Das Projekt Supply Line des Kanadischen Kriegsmuseums www.warmuseum.ca/supplyline (letzter Zugriff: 5. Februar 2017). Roy Rosenzweig / David Thelen (Hrsg): The Presence of the Past: Popular Uses of History in American Life. New York 1998. Paul Ashton / Paula Hamilton: Connecting with History: Australians and their Pasts. In: Paul Ashton / Hilda Kean (Hrsg. ): People and Their Pasts: Public History Today. London 2008, S. 23-41. Margaret Conrad u.a. (Hrsg. ): Canadians and Their Pasts. Toronto 2013. Laurajane Smith: Changing Views? Emotional Intelligence, Registers of Engagement, and the Museum Visit. In: Viviane Gosselin / Phaedra Livingstone (Hrsg. ): Museums and the Past. Constructing Historical Consciousness. Vancouver 2016, S. 101-121. Hier: S. 101. Public history i dydaktyka historii są dwiema subdyscyplinami historycznymi, skupionymi na docieraniu do świata pozaakademickiego. Obie kładą nacisk na “praktykowanie” historii, ale równocześnie na opieranie praktyki o refleksję teoretyczną i badania empiryczne, których ostatecznym celem jest wypracowanie najbardziej efektywnych strategii dotarcia do zróżnicowanych grup odbiorców, aby poszerzyć ich wiedzę i rozumienie historii. Obie zwykle odnoszą swoje obszary zainteresowań, epistemologię i metodologię do głównego nurtu badań historycznych. Na czym w takim razie polegają różnice? Przynajmniej na pierwszy rzut oka te dwie subdyscypliny zachodzą na siebie nawzajem i to na różnych poziomach. Począwszy od osób je uprawiających: całkiem spora grupa badaczy zaangażowana jest zarówno w dydaktykę, jak i w public history (np. wielu autorów “Public History Weekly” pochodzi z kręgu dydaktyków historii i prowadzi badania z zakresu edukacji historycznej). Zarówno dydaktyka historii jak i public history poruszają podobne problemy, takie jak myślenie historyczne, świadomość czy kultura historyczna. Uczeni i praktycy z obu tych dziedzin korzystają w swojej pracy z muzeów i wystaw, a także z produktów masowej rozrywki, takich jak programy telewizyjne, filmy, gry komputerowe, historia cyfrowa czy media społecznościowe. Historycy uprawiający public history starają się tworzyć produkty historyczne dla szerokiego odbiorcy i krytycznie odnosić się do przekazów będących w powszechnym obiegu. Dydaktyków historii interesuje bardziej to, w jaki sposób użyć tych form do efektywnego nauczania, a ich “produkty” to głównie podręczniki szkolne i poradniki dla nauczycieli. Gdyby wziąć jako przykład najnowszą odsłonę gry “Assiassin’s Creed” firmy “Ubisoft” – historycy z obszaru public history zaczęliby od analizy jakości wykonania scenerii wiktoriańskiego Londynu i atrakcyjności fabuły; dydaktycy zajęliby się natomiast ustalaniem koncepcji historycznych, na których oparli się autorzy gry, oraz wiernością odwzorowania przeszłości. Jedni i drudzy odnosiliby się do ustaleń historii akademickiej, ale ci związani z public history myśleliby raczej o tym, jakich wyborów dokonali twórcy gry, podczas gdy dydaktycy skupialiby się na jej walorach pedagogicznych. Być może są to drobne różnice, ale jednak wystarczająco znaczące, by uzasadnić potrzebę podjęcia dialogu między obiema subdyscyplinami. Oboje uznaliśmy muzea za dobry punkt wyjścia do takiego dialogu. W zeszłym roku podczas konferencji dydaktycznej w Warszawie wywiązała się ciekawa dyskusja o tzw. “lekcjach muzealnych”, gdy nauczyciel z grupą uczniów przychodzi do muzeum. Niektórzy edukatorzy muzealni skarżyli się na nauczycieli, którzy chcieli sami przeprowadzać tam lekcję, zamiast zaufać pracownikom placówki. Edukatorzy czuli się wręcz urażeni, wskazując, że posiadają większą wiedzę na temat swojego muzeum i jego zbiorów niż nauczyciele, lepiej też wiedzą, jak je zaprezentować zwiedzającym, w tym uczniom. Na przeciwnym biegunie odnotowano takich nauczycieli, którzy ograniczają się do przyprowadzenia swoich uczniów do muzeum i zabrania ich z powrotem do szkoły, natomiast zupełnie nie angażują się w proces edukacji muzealnej (a wręcz spędzają większość czasu w muzealnej kawiarni). Wymiana zdań podczas konferencji doprowadziła do postawienia pytania, czy nie byłoby idealnie, gdyby już na etapie opracowania pomysłu wystawy, na długo przed samą wizytą uczniów w muzeum, uwzględniano ich potrzeby, a nauczyciel i edukator muzealny wspólnie przygotowywaliby i prowadzili lekcje. Takie podejście pozwala zaspokoić potrzeby dydaktyczne nauczania szkolnego przy wykorzystaniu talentów pedagogicznych i doświadczenia pracowników muzeum. Na przykład w Polsce Muzeum Historii Żydów Polskich Polin wprowadziło program “ambasadorów Muzeum”, w którym nauczyciele praktycy pomagali rozwijać ofertę dydaktyczną muzeum i popularyzować ją w całym kraju. Z kolei Kanadyjskie Muzeum Wojenne w Ottawie, korzystając z wyraźnie określonych wytycznych dla prowincji Ontario i Quebec, oferuje różnorodne wycieczki i programy zwiedzania, dopasowane do uczniów w różnym wieku, zwłaszcza na poziomie gimnazjum i liceum. Flagowy projekt muzeum, wychodzący naprzeciw potrzebom szkół, Supply Line Discovery Box (Skrzynia odkryć linii zaopatrzenia) został zaprojektowany specjalnie z myślą o realizacji celów nauczania szkolnego, a muzeum udostępnia do niego także obszerne zasoby on-line. Badania prowadzone w Stanach Zjednoczonych, Australii i Kanadzie pokazały, że ludzie uważają muzea za wiarygodne miejsca poznawania przeszłości. Pozwalają one zwiedzającym, jak ostatnio zaobserwowała Laurajane Smith, przeżyć “moment transformacji”, charakteryzujący się głębokim zaangażowaniem nie tylko w samą wystawę muzealną, lecz także w emocjonalne reakcje, które wystawa, i sama wizyta, może wywołać. To samo może dotyczyć lekcji muzealnych, nawet biorąc poprawkę na ich specyficzne cele i – oczywiście – obligatoryjny charakter. Warto dyskutować o wzajemnych relacjach między public history – uprawianiem historii w przestrzeni publicznej – i edukacją historyczną, zarówno jeśli chodzi o “wytyczenie granic”, jak i znalezienie obszarów wspólnych między historią w przestrzeni publicznej i edukacją historyczną, w odniesieniu do pewnych ogólnych koncepcji (np. świadomości historycznej czy myślenia historycznego), obszarów i pytań badawczych, ale także praktyki, np. tego, jak muzea historyczne działają na rzecz edukacji i public history, czy kompetencji zawodowych, które rozwija każda z tych subdyscyplin, a które mogą służyć obopólnemu pożytkowi. Chcemy zaproponować sesję poświęconą tym sprawom podczas XXIV Międzynarodowego Kongresu Nauk Historycznych w Poznaniu w roku 2020. Létourneau, Jocelyn, Je me souviens? Le passé du Québec dans la conscience de sa jeunesse. Montreal: Fides, 2014. Jocelyn Létourneau, “Teaching History: Historical Consciousness and Quebec’s Youth” (Ostatni dostęp 3 Marzec 2017). Muzeum Historii Żydów Polskich POLIN www.polin.pl (Ostatni dostęp 3 Marzec 2017). Canadian War Museum www.warmuseum.ca (Ostatni dostęp 3 Marzec 2017). Dla nauczycieli, Muzeum Historii Żydów Polskich POLIN www.polin.pl/dla-nauczycieli (Ostatni dostęp 3 Marzec 2017). Canadian Warmuseum www.warmuseum.ca/school-programs (Ostatni dostęp 3 Marzec 2017). Porject “Supply Line”, Canadian Warmuseum www.warmuseum.ca/supplyline (Ostatni dostęp 3 Marzec 2017). It is a complex dialogue recommended here by Joanna Wojden and David Dean between teachers of history and museum’s curators but it is something that has to be digged into because it raises very important pedagogical and methodological questions for these two “species” of history practitioners. But another more specific issue seems also to have been introduced here which will be discussed during the International Federation for Public History 4th annual conference #IFPH2017 in Ravenna next June 5-9 . This could be about the delicate question of roles: when does a history teacher become, in certain circumstances, a public historian or is he always a public historian confronted with a speciffic public in classrooms? This question derives also from this post and is maybe part of the dialogue requested between two overlapping fields and introduced by Wojdon and Dean​ here. Local website #IFPH2017 https://events.unibo.it/ifph2017 and provisional program of the IFPH conversations https://ifph.hypotheses.org/1271 (last accessed 13 March 2017). Do the interests, methods and disciplinary fields matter? Thank you for this interesting and important article. I would, however, like to highlight some details which I feel are missing. The authors stress that the main difference between the disciplines are that public historians are interested in producing media (histories) which could be understood by the public, while history educators develop media for history lessons which are made for students. From a perspective of German speaking history didactics, many researchers would stress the claim that history education should reflect historical practice in societies not only inside of history lessons as the authors suggest. This seems to be very similar to the goal of public historians. Moreover, many research projects by history educators which examine public history products could be mentioned. The main purpose of both disciplines could perhaps be described with the old term of “historical enlightenment”. But I would agree with the authors that the research interests are different while doing such analyses. Public historians ask which stories should be chosen and how they could be told for the public like the authors describing. On the other hand, history educators not only reflect principles of historical practice but often use their interpretations to put the light on the processes itself. As Rüsen suggests, researchers of history education ask for historical thinking and learning (and of cause teaching). By doing so it seems to me that more and more history educators are using socio-empirical methods in addition to classic historical ones to investigate such aspects. I am not sure if public historians do the same. I would like to point out that even the research instruments could be different. Moreover, in contrast to the authors’ views, this suggests that history education and didactics are based not only on historical science, but also on other disciplines (e.g. sociology, psychology) where those methods are used. Finally, I would conclude, it could be stated that the interests, methods and disciplinary fields are different in many details while the goal (historical enlightenment?) seems similar. Carlos Kölbl and Lisa Konrad, “Historical consciousness in Germany. Concept, implementation, assessment,” in Assessment of historical thinking, eds. Kadriye Ercikan and Peter Seixas (New York: Routledge 2015), 17-28. Mario Carretero, “History learning research in Spain and Latin America,” in Researching History Education. International Perspectives and Disciplinary Traditions, eds. Manuel Köster, Holger Thünemann, and Meik Zülsdorf-Kerstin (Schwalbach/Ts. : Wochenschau 2014), 56-80. Jörn Rüsen, History. Narration -Interpretation-Orientation (New York, Oxford: Berghahn, 2005). In April 1833 the aged Wilhelm v. Humboldt, a Prussian scholar, philosopher, and statesman, wrote one of his wonderful letters to his old friend Charlotte Diede. The letter is famous for its conceptual reflection of time, doing that in a more private manner but with sudden deep insights in the nature of our cognitive relationship to the ever changing world around us, both small and large. Traditionally, as a son of the Enlightenment, he understands the idea of a Higher reason “behind” the inexorable and opaque change of the world as a substantial reassurance for a skeptical mind. For Wilhelm v. Humboldt, it was the natural sciences which, step by step, enlighten this Higher reason in the form of laws—general inclusive descriptions which help us to “explain away” the chaos and the rule of blind fate. To practise natural sciences became therefore something like the reasonable worshipping of his age. So, for Wilhelm v. Humboldt, no wonder, academic (“wissenschaftliches”) work was identical with bringing always new material in general laws. At the latest since the early 19th century, this model of academic theory and research remained quite the same. Seemingly, we always strive nolens volens after bringing the manifoldness of the world under the cognitive rule of general laws, terms, and ideas. Far beyond the boundaries of natural sciences. We explain by comparing, subsuming, generalizing constantly in the everyday life, and also in the cultural sciences. That is true even for intellectual directions denying the legitimacy of empirical generalizations like the Post-Structuralism. The generalization here is the negation. From the beginning, the only genuine alternative was the meta-naive telling of individual stories as e.g. the Microhistory tested it extremely. The much-maligned “naive” historical approach (not the historicism of a Leopold v. Ranke by the way which, on the other hand, always assumes general, mostly collective-psychological, laws: “Prinzipien”, “Verrechtlichung”). Having differentiated that, my latent dissatisfaction with the actually welcome approach of Joanna Wojdon and David Dean could become more clear. My argument is: The nature of the phenomena Joanna and David want to comprehend by comparision to achieve the peace of systematization as a variation of the academic Humboldt mode is basically different from the object-level “material” which usally is the thing of empirical research. The thing here is the complexe difference of academic self- and foreign-designations, of self-understandings and self-conceptions. The complexity couldn’t be greater, inasmuch as international, multilingual and historically grown differences play a role here. In fact, it is about normatively charged idiosyncrasies. That is true already within single national academic cultures: The differences are as greater as older the disscussion is. It often sounds just like a fight for words, but it is very often a struggle for resources. The simple opposition of “Public History” and “History Didactics” blurs these decisive circumstances. It is an oversimplification. So, Martin Nitsche is unquestionably right to refer to a specific German academic tradition of History Didactics, which includes since the late 1960s typical Public History research and theory. Jörn Rüsen’s and other’s writings are a late result of that academic tradition. I also find Martin’s reference to different research capacities interesting. But not every German-speaking educationalist agrees with the presuppositions of this direction of History Didactics, a few colleagues would tend to agree more with Joanna’s conception of History Didactics. Furthermore, since 10-12 years we can see a growing group of “Public Historians” in Germany which sometimes tend to set aside that elder research tradition. I suppose (and I know) you could decline the many and very different national academic conceptual traditions all over the world the same way. In my opinion, every attempt to generalize self-conceptions by systematization leads to new unnecessary conflicts and logically to the problem of the infinite regress. I think the issue is simple: One should not try to solve “problems” systematically or logically, which have developed manifolded only historically and by chance. We just need communication, mutual curiosity, at the end a kind of serious academic-diplomatic endevour to bring all in-fact public historians from all intellectual worlds together to find a strong voice for REASONABLE PUBLIC approach to our pasts and collective identities. That’s the point. And here I agree strongly with Serge: I’m looking for the soon Ravenna conference, several events are planned for this conference to deepen exactly this issue. We should unite all efforts to influence the public dealings with history—no matter what tradition the designation of your academic self-conception may have. A systematic-comparative conversation is full of problems and does not help much in this challenge. Ulrich Muhlack: Leopold von Ranke (1795-1886). In: Luth Raphael (Hg. ): Klassiker der Geschichtswissenschaft 1. Beck; München 2006, S. 38-63, hier S. 46f. In my eyes, David Dean and Joanna Wojdon have written a very important contribution in order to continue a discussion initiated by Marko Demantowsky two years ago. Generally, I am convinced that is absolutely necessary to define our central categories and subfields, although they may overlap sometimes. Definitions are a substantial part of our academic duty. But in this special case, I tend to agree with Marko Demantowsky. It seems to be much more effective to initiate and to elaborate our communication about our shared interests, which become more and more important: How do we deal with the past? How do we present history? Which purposes are relevant to us when dealing with the past? How can we teach history to students and to adults as well? How can we prevent them from believing in simplistic interpretations of the past, which occur increasingly often all over the world in the last years? And how is it possible to improve teaching and learning – in schools, in museums, in archives or wherever? Nevertheless, it would be a misunderstanding to argue that history didactics are – first of all – concerned with how to teach history. As Karl-Ernst Jeismann put it 40 years ago, History Didactics are concerned with “historical consciousness in society” in general. Undoubtedly, that is a very broad field, which not only integrates history teaching, but metahistory and empirical research as well. Cf. Marko Demantowsky: “Public History” – Sublation of a German Debate? In: Public History Weekly 3 (2015) 2, DOI: dx.doi.org/10.1515/phw-2015-3292; Holger Thünemann: Public History – 9 Theses. In: Public History Weekly 3 (2015) 2, https://public-history-weekly.degruyter.com/3-2015-2/public-history-sublation-german-debate/#comment-2240; Habbo Knoch, “Wem gehört die Geschichte? Aufgaben der „Public History“ als wissenschaftlicher Disziplin,” In: Geschichtsdidaktik in der Diskussion. Grundlagen und Perspektiven, eds. Wolfgang Hasberg and Holger Thünemann (Frankfurt a.M.: Peter Lang, 2016), S. 303–345. Karl-Ernst Jeismann, “Didaktik der Geschichte. Die Wissenschaft von Zustand, Funktion und Veränderung geschichtlicher Vorstellungen im Selbstverständnis der Gegenwart,” in Geschichtswissenschaft. 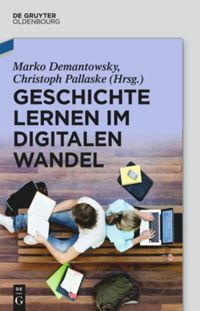 Didaktik – Forschung – Theorie, ed. Erich Kosthorst (Göttingen: Vandenhhoeck & Ruprecht, 1977), 9-33. Here: 12. Thank you very much for this interesting article which takes up an issue which is often mentioned in personal conversation, but seldom addressed in written reflection or by research, even though this seems to change recently. In line with the commentary by Martin Nitsche, I’d like to stress that History Didactics, at least in the Germanophone version, has since long not only tried to overcome the mono-focus on school history teaching, and ventured to broaden its field, taking up as a research field the forms in which both individuals and collectives “deal with” or relate to the past. This was initiated, among others, by Karl Ernst Jeismanns diagnosis, that (at least part of the) guild of academic historians had abandoned their contributing to public uses of history, withdrawing from the realm of politics into an ivory tower of research for “true history”. “Historical Consciousness as a politically delicate, highly inflammable fabric, is deposited broadly [in society]” (“lagert heute flächig”) – apparently using a geological term to indicate that not only specialists produce and hold historical notions, but the public also. While Jeisman admitted that great influence on this was exerted through administration (via state mandated curricula etc.) and teaching, he also called for empirically researching the “state of historical consciousness in society” next to developing ways to influence it via teaching. The development of the concept of “history culture” (“Geschichtskultur”) as a corollary or “the other side of the coin” of historical consciousness, resp. its collective form, in the late 1990s, then, seemed to secure this field for History didactics. Next to the development of public history, it was the gigantic surge of research into the complex field of “Vergangenheitsbewältigung”, “Erinnerungs-” and “Geschichtskultur” as well as related politics and policies, mainly in the field of political and literary as well as cultural studies, but also in academic historical research, which seemed to compete for this field. As for a clarification of the inter-relation of these several (not only two) disciplines working on the same ground, I’d like to suggest that (just as it has been argued for the relation of political education and history didactics) it is not the topics which distinguish and define the disciplines but their interests, questions, principles, concepts and methods. As such, this would still be in line with the original contributors’ suggestion that History Didactics looks at the field of extra-academic production and representation of history with an interest in using it for teaching purposes. But this may prove too narrow. Given that history teaching has abandoned the idea that learning is mainly about transmitting specific knowledge and insight to the learners via application of a variety of methods and media, but at least equally importantly to enable the learners to actively and consciously (and critically) participate in their society’s (or even societies’) dealing with the past, their debates, etc., History Didactics is not only interested in how to use public history _for_ learning history, but also the other way round, what and how to learn _for_ public history. The latter, however, is not a uniform field. It comprises a lot of questions, such as the question what members of a society should be able to do and know in order to participate in public history, but also what they need to know about its conditions, logics, backgrounds etc. And of course didactic research needs to query about the dispositions for, interests in and abilities for being part of a society where history is both academic and public, pluralist and diverse and in all this, not simply relativistic. This, by the way, changes the nature of public history a bit. It is no longer the domain of some extra-academic producers of history _for_ the broad society, but rather the general field of public exchange on history also. Stefanie Samida, “Kommentar: Public History als Historische Kulturwissenschaft: Ein Plädoyer,” Docupedia-Zeitgeschichte (June 2014). Available online at http://docupedia.de/zg/Public_History_als_Historische_Kulturwissenschaft (last accessed 20 March 2017). Karl Ernst Jeismann, “Didaktik der Geschichte. Die Wissenschaft von Zustand, Funktion und Veränderung geschichtlicher Vorstellungen im Selbstverständnis der Gegenwart,” in Geschichtswissenschaft. Didaktik, Forschung, Theorie, eds. Erich Kosthorst and Karl Ernst Jeismann (Göttingen: Vandenhoeck & Ruprecht, 1977), 9–33. Reinhold Hedtke and Dietmar von Reeken, eds., Reader: Historische und politische Bildung. (Bielefeld: sowi-online e.V., 2005). ; cf. especially Hans-Jürgen Pandel, “Fachübergreifendes Lernen – Artefakt oder Notwendigkeit?”, in Reader: Historische und politische Bildung, eds. Reinhold Hedtke and Dietmar von Reeken (Bielefeld: sowie-online e.V., 2005) Available online at http://www.sowi-online.de/reader/historische_politische_bildung/pandel_hans_juergen_2001_fachuebergreifendes_lernen_artefakt_oder_notwendigkeit.html (last accessed 20 March 2017) and Andreas Körber, “Der Abgrund im Bindestrich? Überlegungen zum Verhältnis von historischem und politischem Lernen,” in Reader: Historische und politische Bildung, eds. Reinhold Hedtke and Dietmar von Reeken (Bielefeld: sowie-online e.V., 2005) Available online at http://www.sowi-online.de/reader/historische_politische_bildung/koerber_andreas_2004_abgrund_bindestrich_ueberlegungen_zum_verhaeltnis_von_historischem_politischem.html (last accessed 20 March 2017). The goal of our article was not to antagonize public historians and history didacticians. As we stated in the introduction to our paper, history didactics and public history do have many common points, and pointing to the differences was not meant to bring new divisions. On the contrary, we believe that both fields would benefit from exchanging experiences, practices and approaches. But shall we deny that they are not both the same? I agree with Martin Nitsche and Marko Demantowsky that history didacticians do their research and propose practices with the main goal of what they call “historical enlightment”: how to teach more effectively, transfer more information and form the most accurate, relevant vision of the past in the audience(s). If they ask about the historical consciousness, they usually want to know how much it fits to the “scientific” reconstructions of the past. We ask pupils what they know but we pay more attention to what they do not know, in order to “correct” them afterwards. The perspective of public history is different. Its primary goal is to attract people to history in general and to the particular activities of the public historians – often for the very pragmatic reason of getting funding either directly from the audience or from sponsors who need to make sure that there is audience. For public history research in historical consciousness is a kind of a marketing tool, which helps better understand the “target groups” and be more effective in reaching them with various public history products. “Englightment” is only a side effect. I agree with Serge Noiret that we can regard history teachers as public historians reaching the very specific audience, but I think it is more a goal to reach than the reality. At least in Poland, teachers are preoccupied with following the curricula and textbooks, and with instilling knowledge in their pupils. At the very first parents’ meeting at my children’s school we could hear that “the time of playing and having fun is over, now it is time to work hard and learn”. Would a public historian say anything like that? Faye Sayer points enthusiasm, creativity and flexibility on the top of “key skills for teaching history” from the perspective of public history, while the knowledge of a variety of historical periods is only on the 6th place of her list. One of the Polish surveys expected history teachers first to be competent in history and second: “just” (in assessment). Enthusiasm was not mentioned at all. I wish teachers paid more attention to attracting students to history (or to any other school subject), to letting them have fun. I wish they listened more to the pupils’ needs and interests and a bit less to school curricula and especially textbooks. On the other hand, at a moment I am working with young museum educators who have no teacher training background. Their ignorance in methodology of teaching is clearly reflected in the scenarios of museum lessons they propose. Keeping attention of young visitors or engaging them in tasks and discussions turns out to be nearly “mission impossible”. We truly wanted (and still want) to start the sincere dialogue which we do hope to continue in Ravenna and in Poznań (where the session, if approved, will be co-organized by the International Federation for Public History and the International Society for History Didacitcs), and elsewhere. There are also different approaches, e.g. Jocelyn Letourneau and Arthur Chapman, “Is a little knowledge a dangerous thing? Students, national narratives and history education,” (https://ioelondonblog.wordpress.com/2015/11/26/is-a-little-knowledge-a-dangerous-thing-young-people-national-narratives-and-history-education/) but they are rather exceptions than the rule. 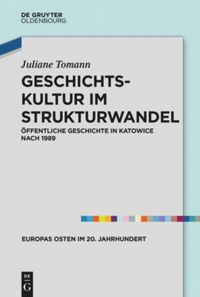 See Jolanta Choińska-Mika et al., “Nauczyciele historii,” in: Liczą się nauczyciele. Raport o stanie edukacji 2013, eds. Michal Federowicz, Jolanta Choińska-Mika and Dominika Walczak (Warszawa: Drukarnia TINTA, 2014), 221-240. Faye Sayer, Public history. A practical guide (London: Bloomsbury, 2015), 85; Jan Chańko, “Akademickie kształcenie nauczycieli historii i wiedzy o społeczeństwiew Uniwersytecie Łódzkim,” paper presented in Toruń, XI Toruńskie Spotkania Dydaktyczne, September 25, 2015.